The ancient Romans changed more than the map of the world when they conquered so much of it; they altered the way historical time itself is marked and understood. In this brilliant, erudite, and exhilarating book Denis Feeney investigates time and its contours as described by the ancient Romans, first as Rome positioned itself in relation to Greece and then as it exerted its influence as a major world power. Feeney welcomes the reader into a world where time was movable and changeable and where simply ascertaining a date required a complex and often contentious cultural narrative. In a style that is lucid, fluent, and graceful, he investigates the pertinent systems, including the Roman calendar (which is still our calendar) and its near perfect method of capturing the progress of natural time; the annual rhythm of consular government; the plotting of sacred time onto sacred space; the forging of chronological links to the past; and, above all, the experience of empire, by which the Romans meshed the city state’s concept of time with those of the foreigners they encountered to establish a new worldwide web of time. Because this web of time was Greek before the Romans transformed it, the book is also a remarkable study in the cross-cultural interaction between the Greek and Roman worlds. 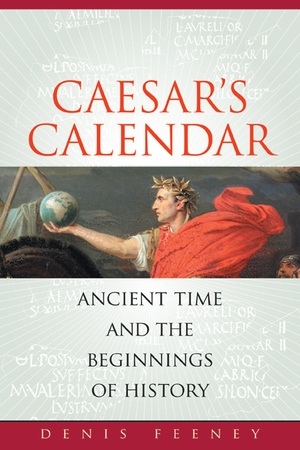 Feeney’s skillful deployment of specialist material is engaging and accessible and ranges from details of the time schemes used by Greeks and Romans to accommodate the Romans’ unprecedented rise to world dominance to an edifying discussion of the fixed axis of B.C./A.D., or B.C.E./C.E., and the supposedly objective “dates” implied. 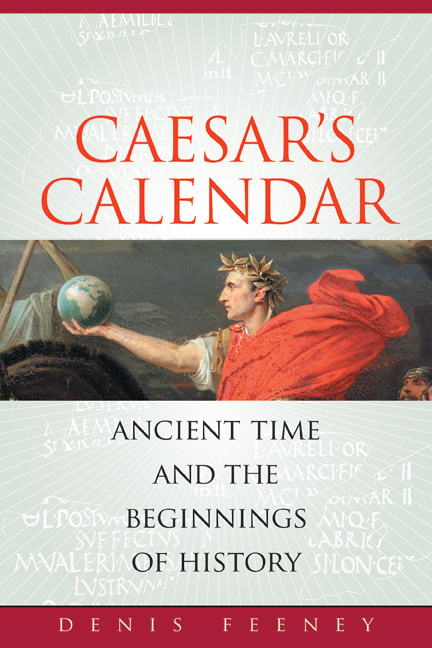 He closely examines the most important of the ancient world’s time divisions, that between myth and history, and concludes by demonstrating the impact of the reformed calendar on the way the Romans conceived of time’s recurrence. Feeney’s achievement is nothing less than the reconstruction of the Roman conception of time, which has the additional effect of transforming the way the way the reader inhabits and experiences time. Denis Feeney is Giger Professor of Latin at Princeton University and was the 2004 Sather Lecturer at the University of California, Berkeley. His books include Literature and Religion at Rome: Cultures, Contexts, and Beliefs (1998) and The Gods in Epic: Poets and Critics of the Classical Tradition (1991).